The latest step in Ben Tuck’s racing career got off to a promising start at the weekend only to end prematurely. 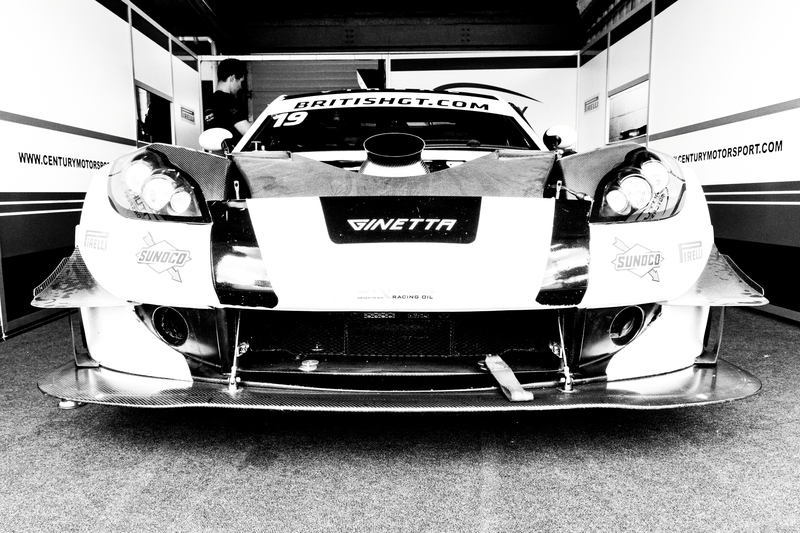 The Sandy based GT race winner took to the grid in the finale of the esteemed British GT Championship at the wheel of the factory backed Century Motorsport run Ginetta G55 GT3 race car. The outing came after an initial foray in the UK’s premier GT championship had a false dawn at Brands Hatch in August when his co-driver crashed the car during practice before Ben got a chance to drive. This time out Ben at least got a chance to show his driving credentials if only all too briefly. 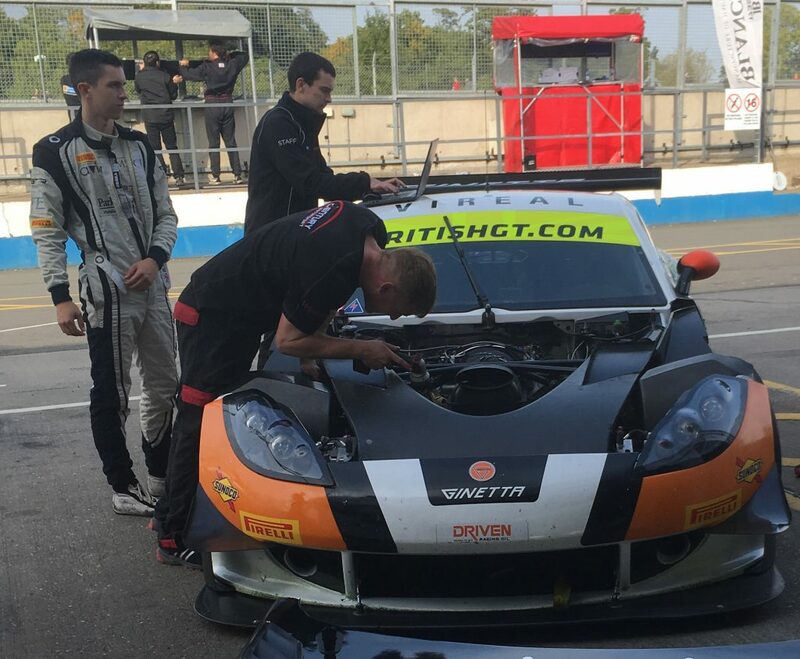 Partnered by experienced GT racer and Century team principle Nathan Freke, the team were positive about the pairing. “We saw in Silverstone earlier this year just what the G55 GT3 is capable of and it’s been a shame we haven’t been able to show the merits of our hard work since. Hopefully this weekend will give us that opportunity” said Freke. After a brief practice session, where Ben got his first ever taste of the car on circuit, he took to the track for his high pressure 10 minute qualifying run. Ben took and held onto Pole for the first 6 minutes of the session, before slipping to 6th just 0.6s off the sessions fastest lap to post a time that out qualified his more experienced crewmate. From a combined team qualifying slot of 9th, Ben took his debut British GT start and immediately made a move to displace the Bentley Continental GT3 ahead, consolidating his position over the next 4 tours. But by lap 6, the normally bullet-proof G55 GT3 began to suffer engine problems loosing pace and lasting only another 3 faltering laps before giving up completely. Ben retired his car ending his debut GT3 race after only 15 minutes. “In quail the car felt good, I was comfortable with the handling and I was confident I could push on up the order. I wanted to keep my nose clean at the start but straight away I could push and I was easily with the Mercedes. But then I started to get warning lights and the power dropped off. After a few laps of trying to manage the problem with the guys in the pits over the radio, the engine eventually seized up.” said Ben. Ben is now looking to capitalise on the potential shown at Donington and to move forward with a regular slot in the British GT Championship for 2018.